Your Introduction to the CIA! The Culinary Institute of America (CIA) is a private culinary institution with a main campus in Hyde Park, NY and satellite campuses in Napa Valley, CA and San Antonio, TX. Culinary education is more than just cooking; it is learning proper technique, mastering classical cuisine, understanding food science, and applying sound professional practices. From food suppliers to entry-level kitchen employees, the food industry employs a wide range of people who are not chefs. Cooks, purchasing agents, sommeliers and a host of other specialists are integral to hospitality successes. A good culinary arts program takes this into account and promotes each student’s career aspirations. 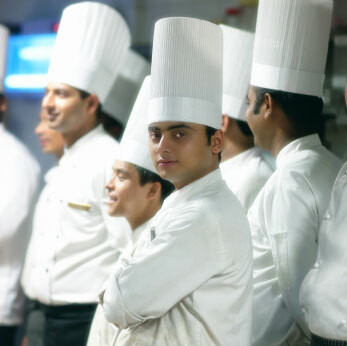 Successful chefs, cooks, managers, entrepreneurs and other hospitality specialists are born of the culinary curriculum at CIA. Started in 1946 by a Frances Roth and Yale University First Lady Katharine Angell in New Haven, CT, the Culinary Institute of America has become a leader in cooking education, creating culinary artists whose abilities, and CIA credentials, are respected worldwide. The Hyde Park, NY campus offers Bachelor’s and Associate’s Degree programs in Culinary Arts and Baking & Pastry Arts with Certificate programs in Culinary Arts and Wine and Beverage Studies. The Napa Valley, CA campus hosts only the Associate’s Degree programs, as well as a variety of advanced level Certificate programs like Advanced Wine and Beverage Studies and Advanced Culinary Arts. The San Antonio, TX campus specializes in Certificate level instruction. The school's Bachelor’s of Professional Studies and Associate’s in Occupational Studies degrees each includes hands on kitchen training, but the Bachelor's program also includes a business management competency requirement. The Bachelor’s programs are completed in 38 months, and an Associate's degree can be earned in as little as 21 months. For those pursuing Bachelor’s degrees, CIA offers travel opportunities to attend special Wine and Food seminars on the West Coast, in Spain, or Italy. Each trip is limited to 25 students, so minimum qualifying standards are required of applicants. Students seeking to attend seminars must submit: a minimum cumulative GPA of 3.0, a faculty written letter of recommendation, a complete and current resume, an essay, a valid passport, an application, and a current copy of college transcripts. Uniquely, CIA has shown an ability to refine each of its campus programs to support immersion in locally prominent culinary aspects. For example, San Antonio classes emphasize Latin American cuisine through local field trips and training outside the classroom, while Napa Valley students enjoy a natural wine emphasis as part of their curriculum. California and New York students are uniquely privileged with the opportunity to work in open to the public campus restaurants. Fully operated by CIA students, the restaurants serve fine-dining meals to discerning customers in true to life restaurant settings. The fast-paced, high-volume experience is priceless for establishing a professional pace among CIA graduates. As an exposure to the industry, the school offers various Certificate and intensive topical courses designed to impart culinary basics, in short periods of time. Simmering culinary passions are kicked in to high gear, once students participate on a CIA campus. Some credits earned from non-degree courses may be eligible for transfer, to Associate's or Bachelor's Degree programs. The Culinary Institute of America, a non-profit college, which offers a variety of Culinary Arts degrees, has long been one of the premier culinary institutions in the US. To earn their chef’s whites, students average over 1,300 hours in CIA kitchen workshops, more than any other culinary school in America. The Culinary Institute of America was born in 1946. The institute was the brainchild of two pioneering gourmands, Frances Roth and Katharine Angell. Roth was a Connecticut attorney who wanted to establish a school that would become “the culinary center of the nation.” It wasn’t until she teamed up with Katharine Angell, who was married to Yale University President James Rowland Angell, that the idea became reality. On May 22, 1946 the New Haven Restaurant Institute became the first school of its kind in the US, and was founded specifically to train returning veterans of WWII , in the field of culinary arts. The school was originally, and continues to be, a non-profit educational charter. The first class had 50 students in attendance, taught by a faculty that consisted of a chef, a baker, and a dietician. In 1947 the name was changed to the Restaurant Institute of Connecticut. Within four years of opening, the school boasted 600 graduates from 38 states. In 1951 the name was changed a final time to The Culinary Institute of America (CIA). The new moniker was chosen to reflect the school’s national scope, and the increasing diversity of its student body. Continuing education was introduced into the curriculum in 1960, to address the ongoing need of food professionals, and provide career growth opportunities for graduates. Frances Roth retired in 1965 and Jacob Rosenthal was named to the position of school president. By this time, the student body had grown to 400 students yearly. By 1969 it was clear that the CIA, running double-class sessions to accommodate over 1,000 students, and with a backlog of applications, was quickly outgrowing its facilities in New Haven - even with the lease of an auxiliary campus. A search was initiated to find a new home for the school, considering properties as distant as Atlanta and Chicago. It wasn’t until the school looked at the former St. Andrew-on-Hudson Jesuit novitiate in Hyde Park, NY that a suitable local home was found for the Institute. In 1971 the Board of Regents of the State of New York granted the CIA a charter to confer an Associate’s in Occupational Studies Degree, making the Culinary Institute the first culinary school in the US to offer such a credential. The school opened at its new home in Hyde Park, NY in 1972. The new campus was well situated in the Hudson Valley, and offered a beautiful park like setting that stretched down to the riverbanks. A stately building renamed Roth Hall to honor founder Frances Roth, became emblematic of the campus. In 1973 the CIA opened the Epicurean Room and Rabalais Grill, later renamed the Escoffier Restaurant. The on-site restaurant gave students important experience in the all areas of hospitality management. Master Chef Ferdinand Metz took over as the college’s next president in 1980, and with his arrival the school became authorized to administer the American Culinary Federation’s exam for Master Chefs. Three additional restaurants were opened on the campus in the early 1980’s. The American Bounty Restaurant was devoted to serving traditional American cuisine, the Caterina de' Medici Restaurant specializing in Italian cuisine, and St. Andrew’s Café, was originally founded to emphasis nutrition and healthy cooking. The expansion continued with the opening of the CIA’s continuing education center, a modern upgrade of all campus kitchens, and construction of an experimental kitchen and food laboratory. Later in the decade, the Institute opened The General Foods Nutrition Center, which now houses the revamped St. Andrew’s Café. The 1990’s marked the introduction of the school’s expanded Bachelor’s Degree programs and the construction of the college’s state of the art baking and pastry facility. 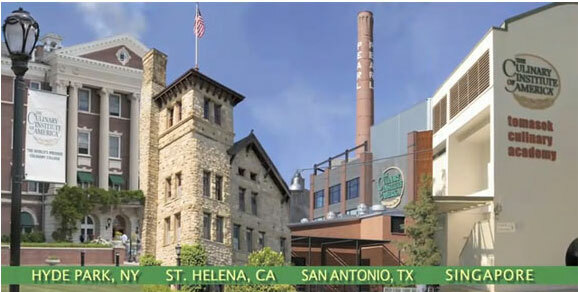 Popularity and an expanding educational model prompted the school to open a second campus, The Culinary Institute of America at Greystone, in St. Helena in the Napa Valley, California. In Hyde Park, the Conrad N. Hilton Library opened and quickly rivaled the Library of Congress’ culinary collection. CIA at Greystone opened the Wine Spectator Greystone Restaurant, which offered a special focus on food and wine pairing. The Greystone campus is equally attractive and aesthetically significant as its counterpart in Hyde Park, retaining a unique California Mission flavor. In 1998 the Hyde Park campus opened its Student Recreation Center, featuring facilities for basketball, tennis, racquetball, weightlifting, swimming and running, as well as a game room, a lounge, a café, and a pub. At CIA Greystone, the first Worlds of Flavor® Conference & Festival was held in 1998. Due to its overwhelming success, it has become an annual event that turns the Napa Valley campus into an international center of world culture and cuisine. The Apple Pie Bakery Café opened in 2000 at the Hyde Park campus, to support the baking and pastry curriculum with an onsite work environment. This was followed in 2001 by the opening of the Colavita Center for Italian Food and Wine in Hyde Park, devoted to the study of Italian culinary traditions. The Colavita Center becomes the new home for the college’s Ristorante Caterina de' Medici. Dr. Tim Ryan became the first president of the CIA who is also an alumnus and a former faculty member. Dr. Ryan also earned his certification as a Master Chef at CIA, along with a doctorate in education from University of Pennsylvania and a Bachelor’s and MBA from the University of New Haven. In 2005 the Anton Plaza was added to the Hyde Park campus, allowing for special events and student catering activities. The Greystone campus saw the addition of the Ventura Center for Menu Research and Development. The Culinary Institute of America in San Antonio, Texas opened its doors in 2008. The new campus was opened to explore Latin American cuisine, and offers Certificate program in Culinary Arts. The Pearl Brewery site is the home of the San Antonio Campus. Because the CIA is a non-profit organization, the focus remains on the needs of the students, rather than the shareholder profits that drive some culinary school businesses in the US. The CIA is a fully accredited college, receiving its accreditation from both the Middle States Commission on Higher Education, and the Accrediting Commission of Career Schools and Colleges of Technology. There are five student-operated restaurants on the main campus. Many of the students who attend the CIA receive some form of financial aid. Students pursue Associate’s and Bachelor’s Degrees in one of two tracks: Culinary Arts or Baking & Pastry Arts. The faculty at CIA is highly qualified, with more chef instructors certified by the American Culinary Federation than any other college in the world. The student to faculty ratio is approximately 18 to 1. The Hyde Park campus, a former Jesuit Monastery, is within reasonable range of New York City, with Amtrak rail service from nearby Poughkeepsie. It is also within easy driving range of many of the top Catskills resorts. The Greystone campus location is in the heart of California wine country, which provides a natural backdrop for culinary learning. Its main building is the historic former Greystone Manor, surrounded by herb gardens that are always put to good use by the students. The San Antonio facility is part of the historic Pearl Brewery redevelopment on the San Antonio River, just north of the downtown area. Each CIA location takes advantage of region-specific culinary tastes and trends. The CIA Greystone Campus is also the home of the Rudd Center for Professional Wine Studies. 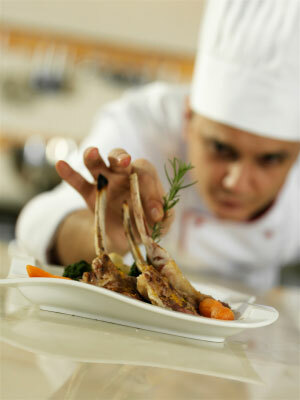 Certification classes for chefs and sommeliers are available. Because of its location in the center of the Napa Valley, the school’s wine courses are an immersion into wine culture. Education starts, literally, from the ground up, and include walks through the vineyards with professional viticulturists; tastings with winemakers, in their own cellars, and intense study of food and wine interaction. Courses include, Foundation of Wine, Business of Wine, Wines of the World, and Wine Immersion. Chef Todd English, listed in James Beard Foundation’s Who’s Who in Food and Beverage in America, and named the 1991 James Beard Rising Chef, and the 1994 Best Chef in the Northeast, is a CIA alum. His many US restaurants routinely take honors receive recognition from top industry publications like Gourmet and Zagat. The best known of his restaurants is Olives in Boston. His TV credits include hosting roles on three national PBS series’: Cooking Under Fire, Cooking with Todd English, and Food Trip with Todd English. He’s appeared on Iron Chef America, Martha Stewart Living, The Today Show, Bobby Flays Food Nation, and many other shows. English has authored or co-authored three top cookbooks, all published by Simon & Schuster. Chef Cat Cora, founder of Chefs for Humanity, Executive Chef for Bon Appetit Magazine, Chef Council president for Macy’s Culinary Council, spokesperson for UNICEF, and the first female Iron Chef, is a visible graduate of CIA. Cora made her TV debut in 1999 as co-host of Food Network’s Melting Pot with Rocco Di Spirito, then later hosted My Country My Kitchen: Greece, Date Plate and Fine Living’s Simplify Your Life. In 2006 she was paired with Wolfgang Puck in NBC’s Celebrity Cooking Showdown. Cora has authored two cookbooks. Chef Anthony Bourdain, host of the Travel Channel’s TV show Anthony Bourdain: No Reservations, host of the Food Network’s A Cooks Tour, best selling non-fiction and cookbook author, and Emmy Award winner started his illustrious career as a student at CIA. Bourdain has been a guest judge on Bravo’s Top Chef. His articles have appeared in Bon Appetit, Gourmet, Maxim, The Los Angeles Times, The New Yorker, and The New York Times, among other epicurean publications. In 2008 Bourdain was inducted into the James Beard Foundation’s Who’s Who of Food and Beverage in America. His book, Cook’s Tour, was named Food Book of the Year in 2002 by the British Guild of Food Writers. Bourdain was named Food Writer of the Year, in 2001, by Bon Appetit magazine, for his book Kitchen Confidential. Chef Larry Forgione dubbed “The Godfather of American Cuisine”, named America’s Best Chef by the James Beard Foundation, former owner and chef of NY Times 3 star restaurant An American Place in Manhattan, shares a CIA history. Forgione opened The Beekman 1766 Tavern in the Beekman Arms in Rhinebeck, NY, which was named one of Esquire’s “Best New Restaurants”. He is also co-founder of American Spoon Foods, a specialty food company in northern Michigan. Forgione’s cookbook, An American Place Cookbook, received the James Beard Foundation’s Best American Cookbook Award. Forgione is the co-founder of the City Meals-on-Wheels Chefs Tribute to James Beard. He also provided the driving force for the farm to table movement in America. Chef Sara Moulton, host of the Food Network’s Cooking Live, Cooking Live Primetime, and Sara’s Secrets, executive Chef of Gourmet Magazine for 25 years, food editor of ABC-TV’s Good Morning America, and top cookbook author, is a CIA graduate. Moulton also hosted the PBS series Sara’s Weeknight Meals. In 2002 Moulton was inducted into the James Beard Foundation’s Who’s Who of Food and Beverage in America. Moulton was co-founder of the New York Women’s Culinary Alliance, and a teacher at Peter Kump’s New York Cooking School (later renamed the Institute of Culinary Education).